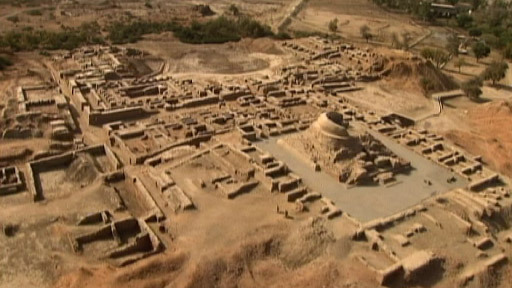 A new study by a group of scientists from India has shed new light on the Indus Valley civilization. Scientists from Archaeological Survey of India (ASI), Institute of Archeology, Deccan College Pune, and IIT Kharagpur have found that Indus Valley civilization is at least 8000 years old; that is 2500 years older than previously thought. It is a convention in Archeology. Usually, finds belonging to the same culture are named after the first find in the series. 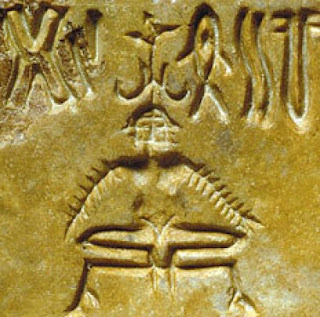 In this case, Harappan was the first site to have been discovered and this led to the Indus valley civilization having been called Harappan civilization amongst scholars. The convention caught on pretty fast. The new findings lead to a reconstruction of a perception that Indus Valley civilization was older than Egyptian and Mesopotamian civilization. Egyptian civilization existed between 7000BC and 3000BC and the Mesopotamian between 6500BC and 3100BC. The scientists did a detailed study on pottery fragments and animal bones from the Bhirrana in Haryana using carbon dating methods. They also used ‘optically stimulated luminescence (OSL) method.’ The evidence have been published in Nature magazine. “Based on radiocarbon ages from different trenches and levels the settlement at Bhirrana has been inferred to be the oldest in the Indian sub-continent,” read the article. About five million people lived in one million square miles in the Valley of Indus River. The pottery and metal samples recovered from the location show the craftsmanship of the people. “Our study pushes back the antiquity to as old as 8th millennium before present and will have major implications to the evolution of human settlements in Indian sub-continent,” Anindya Sarkar, a professor at the department of geology and geophysics at IIT Kharagpur, told International Business Times. The Indus Valley civilization is considered as one of the oldest human settlements that have well-planned constructions. Wells were constructed to channelize water to houses and waste water was channeled into main streets. Earlier, the researchers were of the opinion that the civilization was wiped out after the Indus River dried up following climate change. But the new study says that climate change may not have caused the end of the civilization. Archaeologists of 18th century discovered proof of ancient civilization first in Harappan,Then in Mohenjodaro. Later they found more sites on bank of now-dried Saraswati than in Indus valley. Below is an approximation of number of sites found in different places. 2) Objections raised by some archaeologists that nobody is clear about the past. They argue that many sites would have been washed away when rivers changed direction, and for which we are not able to excavate in Indus valley. 3) Some argue that settlements near Saraswati were of local culture and distinct from Harappan culture. Also some argue that many sites , which are not near Harappan, were not mature enough to take them into account. But it is very clear that nearly half of the dozen rivers in and around Saraswati and Harappan were first among the sites of modern civilization. “Increasing evidence suggest that these people shifted their crop patterns from the large-grained cereals like wheat and barley during the early part of intensified monsoon to drought-resistant species of small millets and rice in the later part of declining monsoon and thereby changed their subsistence strategy,” the scientists wrote. Changing the crops may have led to DE-urbanization as it was not necessary to have large food storage facility. “Because these later crops generally have much lower yield, the organized large storage system of mature Harappan period was abandoned giving rise to smaller more individual household based crop processing and storage system and could act as a catalyst for the DE-urbanization of the Harappan civilization rather than an abrupt collapse,” they said.